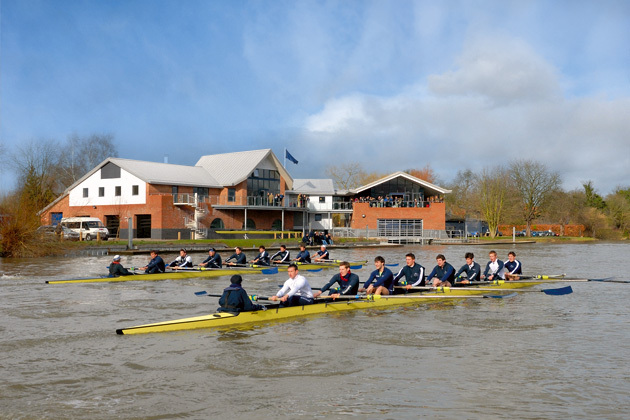 In 2002, Tuke Manton was invited by Oxford University Boat Club to enter a limited design competition for a new boathouse. This was to be built on a spectacular riverside site in Wallingford that is also a functional flood plain. In March 2003, the practice was awarded the contract and entered an extended period of negotiation with the local planning authority and the Environment Agency. The design had to have zero effect on the flow of floodwater across the site and the ability of the site to contain floodwater. Detailed design proposals were approved and full planning consent was granted in July 2004. 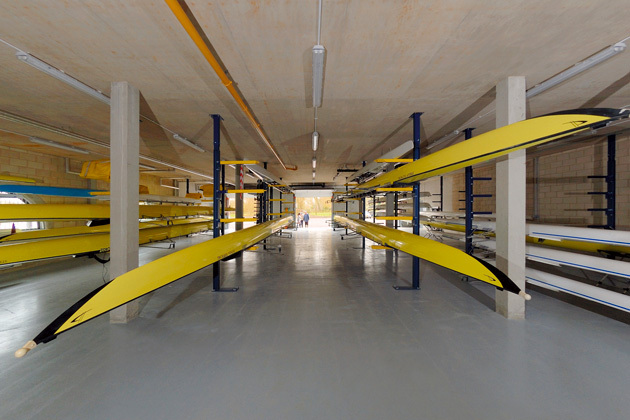 The building provides a home for the main university rowing squads, male and female, heavyweight and lightweight, as well as secure storage for their equipment. It comprises two major elements, a ‘dry’ boathouse for the storage and maintenance of racing shells and oars, and a ‘wet’ boathouse for coaching launches, including the University's traditional 16m timber launch, Bosporos, and the three catamarans used for daily outings. The two boathouses, set at an angle to one another, are linked by a curved building containing the main entrance lobby. 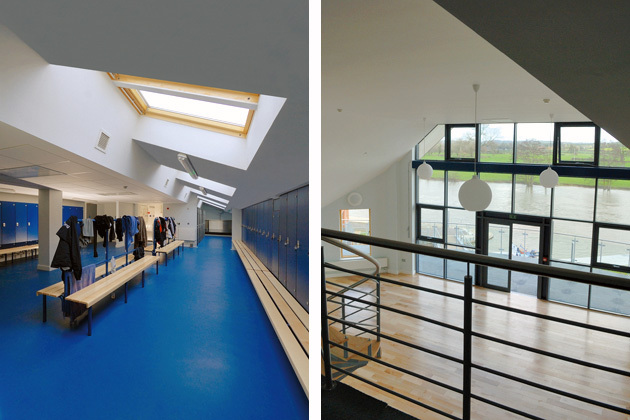 Crew facilities are placed at first floor level over all three buildings. They include three club rooms, kitchens, male and female crew changing facilities, a coaches’ office, a caretaker's flat and ancillary supporting spaces. 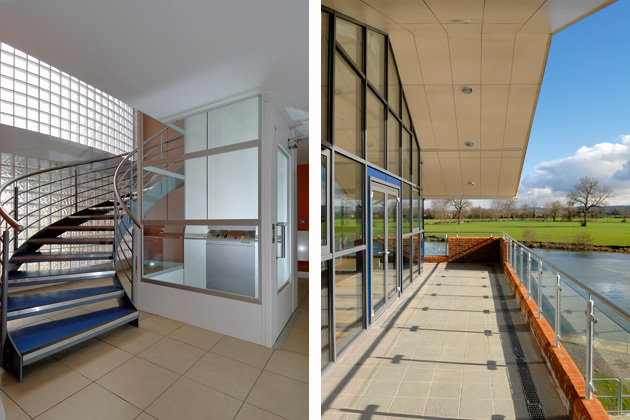 The building takes full advantage of its spectacular site, with a continuous balcony running the full length of the river elevation and large windows to the major club rooms overlooking the water. The link block is raised on stilts above ground level to allow floodwater underneath. 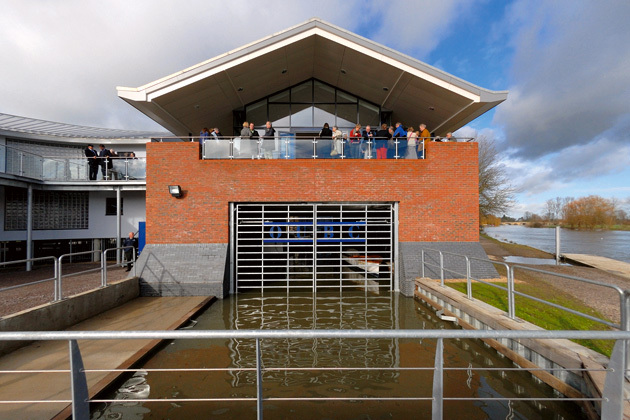 Shuttered openings allow flooding to pass unimpeded through the boathouses when needed, while providing protection and enclosure at all other times. The Thames Path National Trail runs along the river edge of the site, where a previously existing cut has now been extended to bring the river into the wet boathouse. To carry the Thames Path across this water, a new swing bridge has been commissioned, designed jointly by the architects and the structural engineer.